Thank you to Marie, heart mom of angel Thaddeus, for writing up this blog post about how she is giving back to Help-A-Heart through her talents. I started making burp cloths after my first child was born. A friend of mine made a couple for me for a baby shower gift and I thought that would be an easy and personal gift for others. 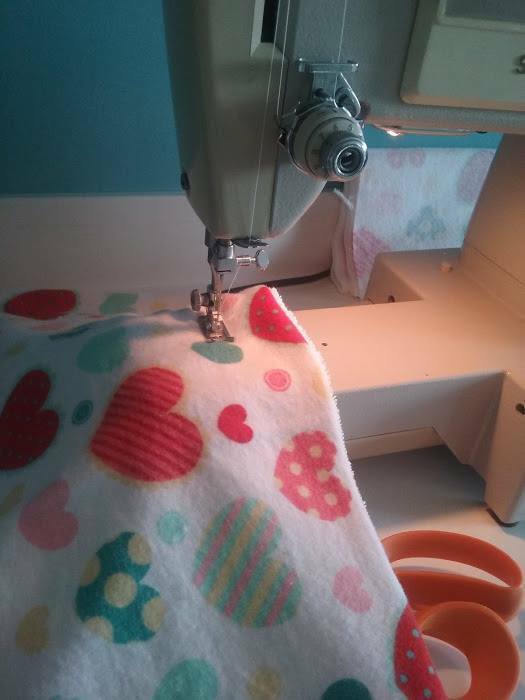 It was a way for me to practice sewing and give a practical gift for a new mother and baby. I made a bunch of burp cloths for Thaddeus before he was born and used them a lot because he had to take his bottles in the side-lying position to reduce the chances of aspiration. 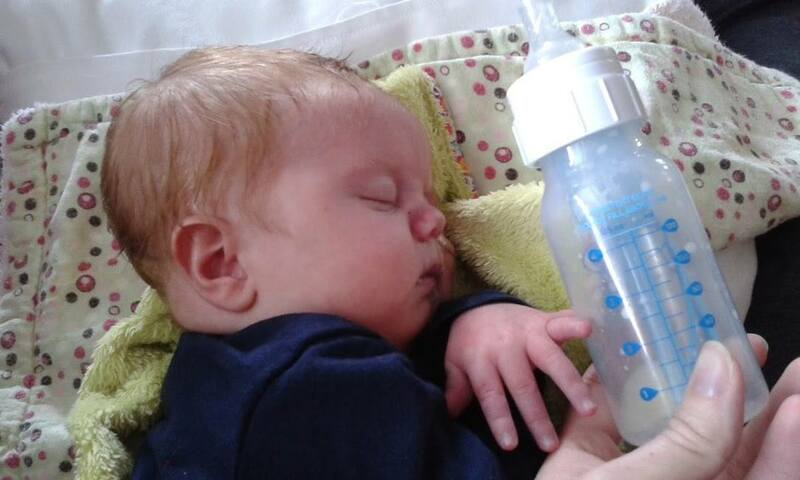 He would often drool out the side of his mouth and the burp cloths soaked up a lot of drool! 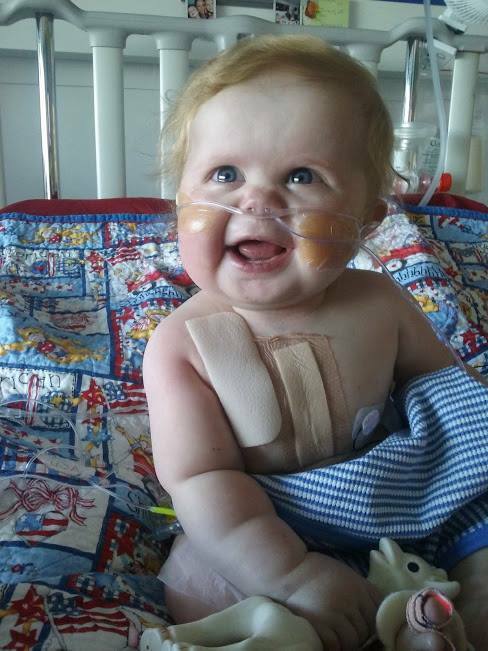 Thaddeus had his third heart surgery on August 15th, 2016. I was ready for the extended stay in the hospital but several unexpected complications arose and our stay in the hospital was longer than anyone thought. So, I decided to bring in my bug chunky sewing machine to help pass the time in the hospital while Thaddeus healed. That eventually gave me the idea to start making burp cloths for other heart babies. 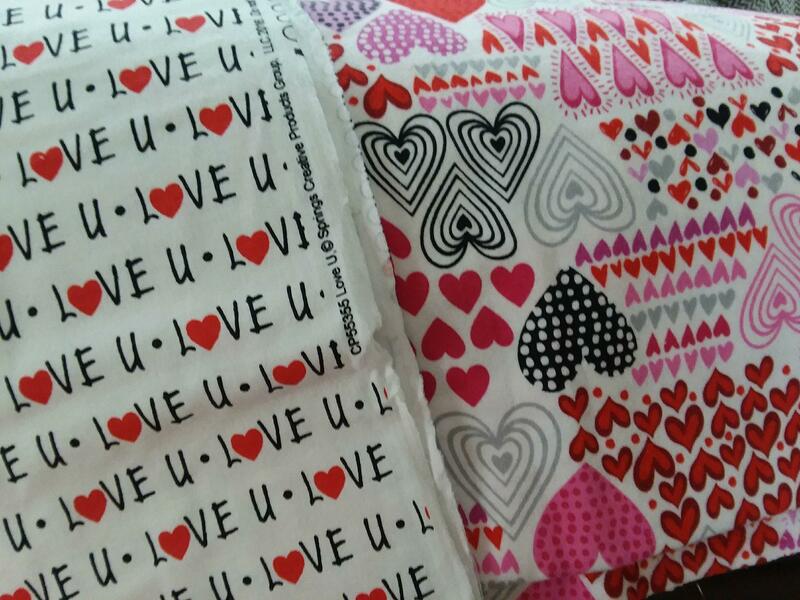 I was able to find several heart print fabrics that could be used for burp cloths. As Thaddeus took his naps or went down for a procedure, I would sit at my sewing machine in PICU bed 5 and sew. Thaddeus also had a new GJ-tube and I had seen some cute “Button Buddies” on Pinterest so I decided I would try to make matching ones that went with the burp cloths. I don’t think anyone can truly prepare themselves for these long hospital stays but when Emily first walked through our door, I knew she was a part of something amazing. They simply show up and help in anyway possible. Sometimes it was just to have someone to talk to who understood what you were going through. And honestly, that’s all you need sometimes. Just someone to be there. I know I will always have them in my corner whenever I need them. Our whole family has been so grateful for everything Help-a-heart has done for us. 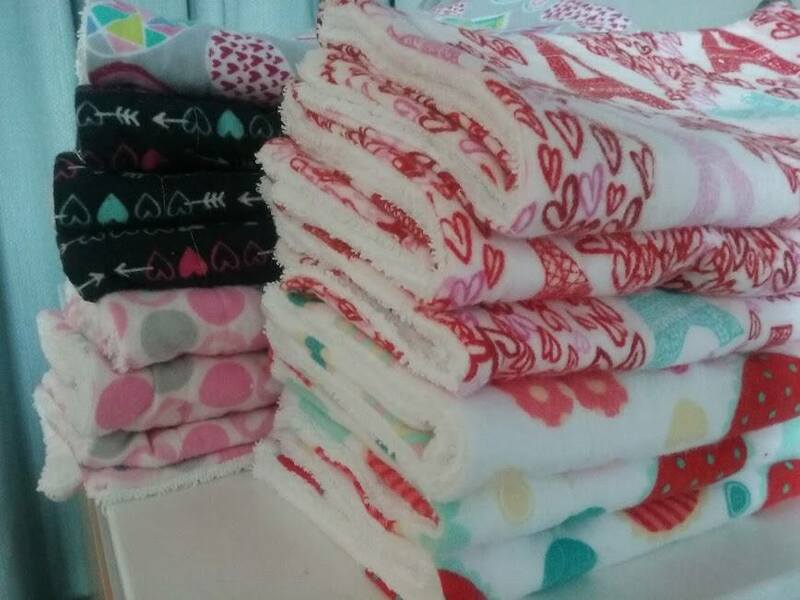 Making burp cloths were a very simple way of saying thank you and giving back in some way.